What Is an Electrical Subpanel? An electrical subpanel, also known as a service subpanel or circuit breaker subpanel, acts as a waypoint between the main service panel and branch circuits further down the line. In essence, an electrical subpanel can be thought of as a mini service panel. The basic structure of an electrical subpanel is the same as a service panel, with the main feeder wire leading into bus bars and circuit breakers. Branch wire circuits lead off of the circuit breakers into various parts of the house. A typical amperage and voltage for a subpanel might be 30 amp, 240 volts. Note that a circuit breaker subpanel does not provide additional electricity to the house; it is feeding off of the main service panel. A common reason for installing an electrical subpanel is to separate the electrical functions of one area from another area. When a house is split up as a duplex or if there is an accessory dwelling area on the property, it is beneficial to keep those circuits separate from the circuit that feeds into it. It can be a problem if the tenant in the accessory dwelling overloads a circuit and the circuit breaks in a main area that is inaccessible to the tenant. This is a common situation with any residential rentals where the landlord's personal area is locked and inaccessible to the tenant. If the tenant's circuit breaker trips and the landlord is not home, the tenant has no choice but to wait until the landlord returns. With an electrical subpanel, though, the tenant has the ability to control the circuit breakers on the subpanel. Electrical usage from the accessory dwelling cannot be separated from the main area simply by installing an electrical subpanel. All metering will still be tracked by the home's main electrical meter. Instead, to track separate energy use, install a residential tenant submeter. These small units help separately monitor electrical sub-usage in 120/240V systems for rental tenants, office suites, and workshops. Submeters do not automatically subtract energy usage information from the main energy meter; in most cases, this must be done manually. Even though the electrical subpanel has its own collection of circuit breakers, all power running to that subpanel is still fed from one circuit located in the main service panel. That feeder circuit itself is protected by a double-pole circuit breaker, and this breaker itself is capable of shutting off. Presumably the subpanel's breakers would shut down first, but the possibility still does exist. 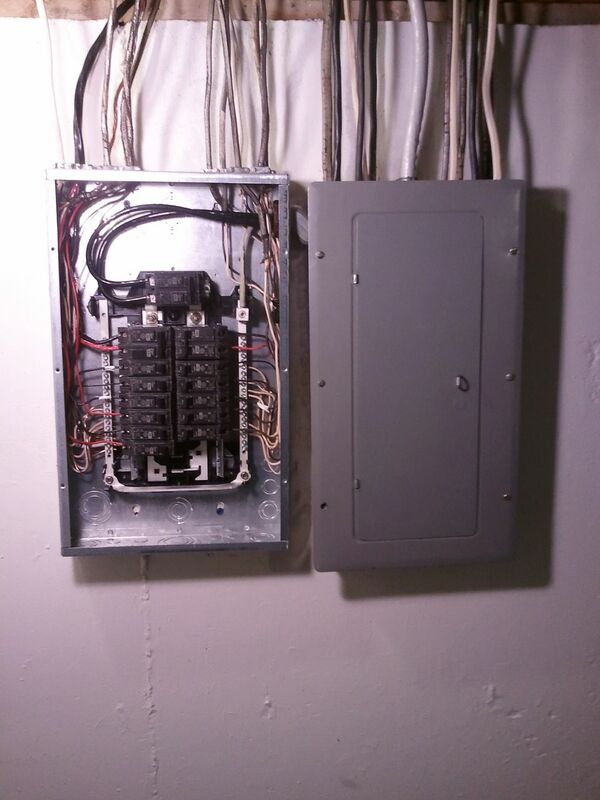 If the main service panel does not have enough space to hold circuit breakers for the new circuits that you intend to install, the electrical subpanel can create new space for circuit breakers, but in a physically separate location. If you need more space in your main service panel, though, rarely should installation of a subpanel be your first choice. First, you should look for any slots that might be filled with unused circuit breakers. Second, even if a slot is filled, you can purchase tandem circuit breakers which share one slot but deliver the same amount of electrical output. For home remodel work, especially for energy-hungry areas such as kitchens and bathrooms, several new electrical cables often need to be run from the service panel to the project area. With older homes, it can be difficult to route several new cables through closed walls, floors, and ceilings. Installing an electrical subpanel near the remodel area means that only one cable needs to be routed from the main service panel. In some cases, that cable and its routing path might already exist since the remodeling area may still have viable cables running to it. For the sake of clarity, an electric subpanel will service one separate area that has a discrete function, such as a kitchen, shop, office, or addition. By installing a circuit breaker subpanel, you make it clear which circuit breakers and branch circuits apply to which parts of the house. It is easy to segregate the duties of all of the branch circuits by keeping them sequestered within the electrical subpanel. Installing an electrical subpanel simply for the sake of clarity is rarely a productive task. But clarity is a positive off-shoot of subpanel installation.